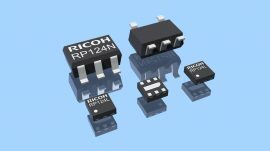 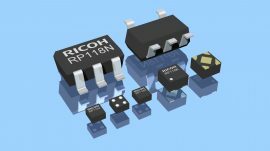 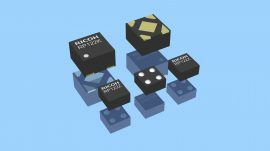 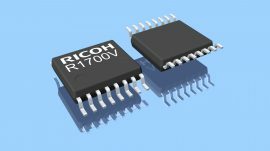 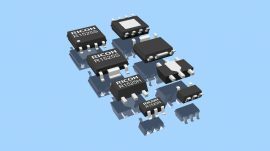 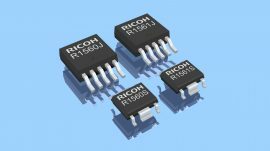 Ricoh Electronic Devices has launched the R1525, a 200mA voltage regulator with features such as a wide operating voltage range and ultra-low current consumption. 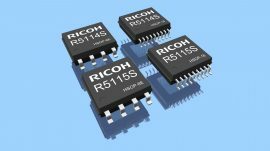 The significant advantage of this product is that it has outstanding EMC noise immunity and is used in particular applications that have severe noise requirements. 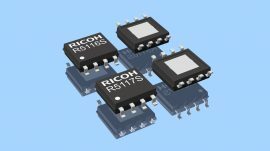 Ricoh has launched the RP124, a 100mA LDO regulator with a unique integrated battery voltage monitor to make it possible to measure the remaining charge left in the battery. 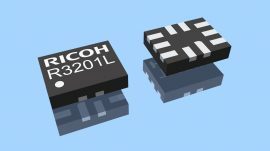 The regulator features an ultra-low current consumption of only 0.3µA (at no-load), extending the lifetime of battery powered devices, which is important for those applications that are mainly in sleep mode and resume for a periodical brief moment to perform a task.